Deep in rural Herefordshire, Putley is waiting patiently for the blossom to appear as it prepares for the annual celebration of its orchards, which this year will take place on Sunday 5th and Monday 6th May. 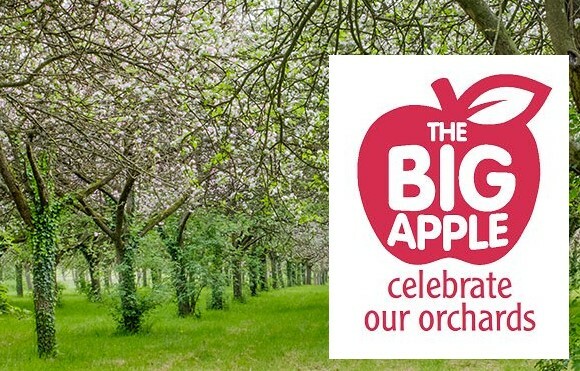 Blossomtime in Putley is centred on a cider tasting in the parish hall, based on entries from the Big Apple Cider and Perry Trials with well over 100 ciders and perries expected to be available to taste. Together with its surrounding parishes, Putley is famous for its orchards. Visitors can walk through the orchards, taste the ciders, enjoy a home-made lunch or tea – and discover for themselves why orchards are such special places and apples matter to us all. Norman Stanier’s great grandfather Harry Taylor could have told you a thing or two about that. He was the overseer on the Putley Court Estate nearly 150 years ago when acres of orchards – or plantations – were established in the parish. On Monday morning, Norman will be telling the ‘overseer’s tale’ and sharing the secret of ‘Thrown Hat’ cider. Putley will also be welcoming some special guests. On Sunday morning, authors and cidermakers Susanna Forbes, Gabe Cook and Simon Day will be giving their thoughts on whether Herefordshire has more to learn from, or to give to, the New World when it comes to cidermaking. Talks will take place at Dragon Orchard at 11am. There are also visits to The Juice to learn about the secret life of Pixley Berries, and how their pressing machines are being put to use for cidermaking. And just up the road, Helen and Andrew Riga will welcome visitors to Yew Tree Farm to taste their single variety perries under each of the trees which produced the pears. Dancing from Leominster Morris and music from Fiddlers Two add the final touches to a special countryside experience. Putley Parish Hall will be open for the Grand Cider Tasting and Teas from 2pm–6pm on Sunday 5th May and from 12–5pm on Monday 6th May.